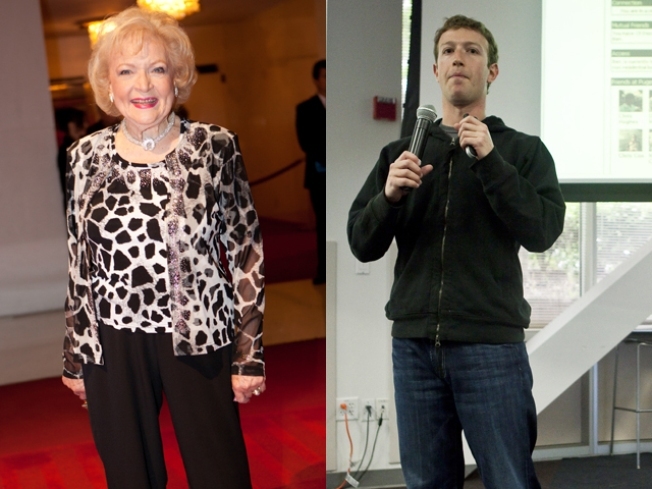 Betty White and Mark Zuckerberg will be inducted into the California Hall of Fame 2010. Actress Betty White and Facebook founder Mark Zuckerberg have a date in Sacramento Wednesday night. You might not think the two have a lot in common, but they are among the folks chosen for the 2010 California Hall of Fame. The induction will be a star-studded affair hosted by Gov. Arnold Schwarzenegger and First Lady Maria Shriver. In all, 14 people will be added to the list of who's who in California history who are honored for making their mark on the Golden State. Gov.-elect Jerry Brown will attend the ceremony as his late father, former Gov. Edmund G. "Pat" Brown is inducted. Bright and early Wednesday a new exhibit featuring mementos of their careers will open. A life-size Terminator statue from Cameron's blockbuster movie starring Schwarzenegger.